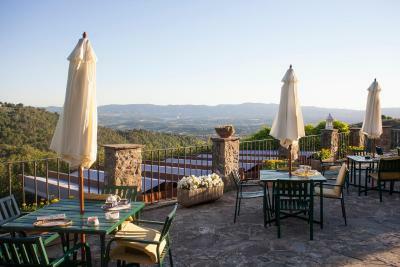 Lock in a great price for Agriturismo Borgo Mocale – rated 9.2 by recent guests! Giulio is an amazing host. He's there to help you with everything. He's literally a lifesaver. 😊 The family runs the property with emotion and heart - not just as a transactional business. 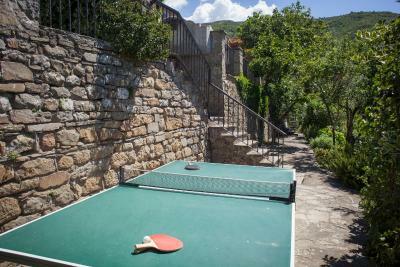 The property is nestled beautifully in the Tuscan countryside, atop green hills. All the rooms and public areas are done very tastefully. Be prepared to be transferred away from the humdrum of daily life, to a calm and serene place. 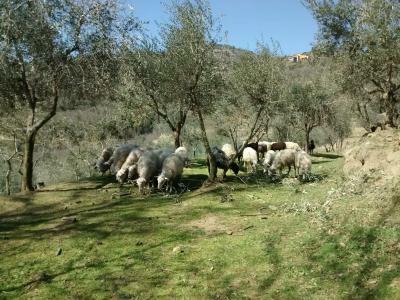 During the day, visit the farms to see olive plantations, cheese production; and see the livestock management by the team. In the evenings, the sunset view from the farm terrace is to die for. Watch the sky take on hues of orange and purple as you sip your tea / wine. Everything was incredibly amazing.. However, dealing with the host was different.. I’ve never experienced such warm welcomes as I felt there.. The lady shared congratulations card with me of holy Eid of Muslims next day.. She is enjoying what she’s doing.. Highly Recommend for the location, service and food. A true taste of Tuscany. Great experience. Staying in this beautiful farmhouse was definitely one of the best trip experiences of my life... the location is undoubtedly one of the best in the region of Tuscany... the lovely people who are running this family business would make you feel at home with their great hospitality... 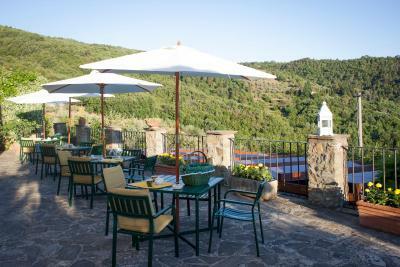 They prepare amazing breakfast with all the fresh ingredients and they also produce their own cheese and olive oil. The rustic decoration, the ambience, the nature, the hosts, the foods, the swimming pool are all amazing and possibly the best ones of its kind that you could ever imagine... 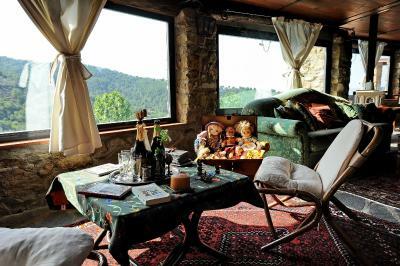 If you ever want to enjoy the peacefulness and tranquility of Tuscany and experience a dreamy stay, this place would absolutely satisfy you in every possible way! Tranquil location. The hosts were very welcoming and helpful. The rooms were spacious and airy, with breathtaking views. Although not specificially mentioned at the booking stage, the apartment had a well equipped kitchen and a living room as well, which were great extras. Borgo Mocale is the place to go if you want to find some peace of mind, while at the same time sharing quality time with your loved ones. The kids (2 boys of 8 & 9) loved the size of the pool, the dogs and the hundreds of crazy nooks and crannies all over the place. For the wife and I we found a place with an amazing staff, delish' food and no preasure to do anything else that just enjoy ourselves on our own terms. As recommendations come - we have already talked about going back. Borgo Mocale is really a nice place to stay. The owners are very friendly and help in every situation / question. The apartment was lovely and really authentic Tuscany style. The kids loved the pool and the donkeys. It is a good base to start trips to Chianti, Florence, Sienna, Arezzo etc. The distance to the beach is more than 2 hours - a bit long for daily trips. Every some days Tuscany dinner is offered - with home-made cheese, olive oil, tomatos from the garden - the dinners were excellent and we had fantastic evenings in Valdarno. 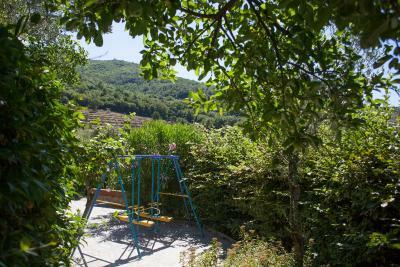 One of our top picks in Castelfranco di Sopra.Set in the countryside 1.9 mi from Castelfranco di Sopra, Agriturismo Borgo Mocale offers an outdoor pool, a Turkish bath and rustic-style rooms. Olive oil and cheese are produced on site. Wi-Fi is free throughout. Breakfast is served daily and includes sweet and savory items. 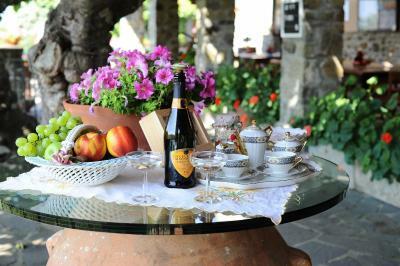 Tuscan specialties can be tasted at the restaurant. 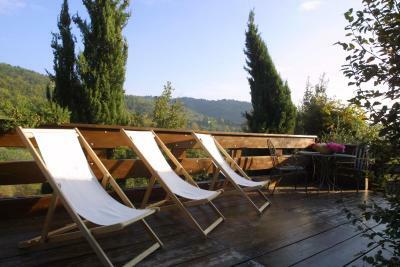 Rooms at the Borgo Mocale have view of the garden and the surrounding hills. Each includes tiled floors and a private bathroom with hairdryer. 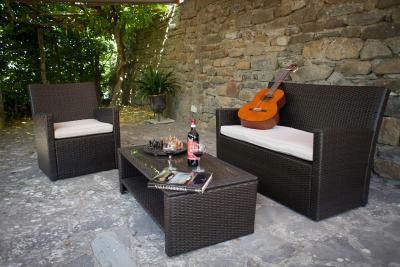 Guests can enjoy relaxing moments in the shared garden with BBQ and have a drink at the bar. 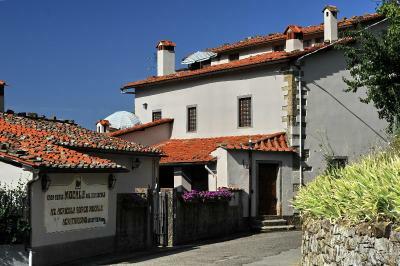 Arezzo is a 40-minute drive from this working farm. Florence is 25 mi away. 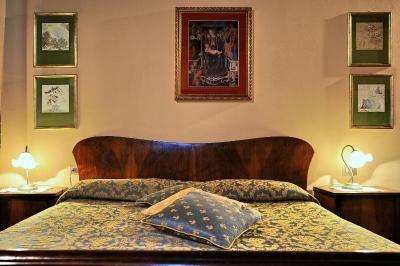 When would you like to stay at Agriturismo Borgo Mocale? Featuring a small courtyard with table and chairs, this room with attached bathroom is located on the ground floor, in the main building. Country-style apartment featuring 2 bedroom with attached bathroom and a seating area with kitchenette. Located on the 1st floor, in the main building. Offering a balcony, this Tuscan-style apartment features a living room with a fully-equipped kitchen and bathroom with a shower. 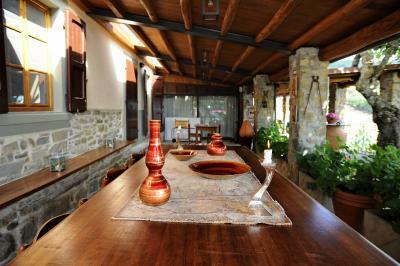 Borgo Mocale is a traditional Tuscan hamlet built in the XIII century on the slopes of the Pratomagno mountains. Immersed in a beautiful landscape, our country hotel offers an authentic Tuscan hospitality, and spoils its guests with genuine food and wine. 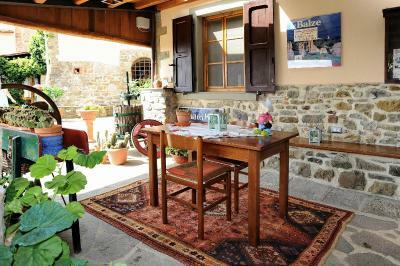 Florence, Arezzo, Cortona and Siena are all easily reachable through panoramic roads or motorway. 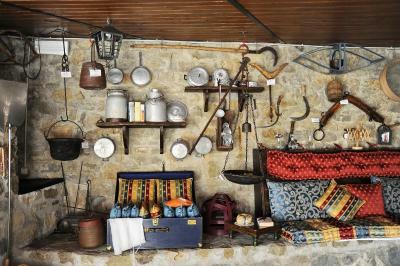 House Rules Agriturismo Borgo Mocale takes special requests – add in the next step! ATM card Agriturismo Borgo Mocale accepts these cards and reserves the right to temporarily hold an amount prior to arrival. 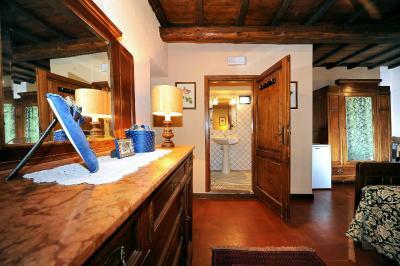 Agriturismo Borgo Mocale accepts these cards and reserves the right to temporarily hold an amount prior to arrival. Please note that the restaurant is open on request. Shuttle to/from Pisa and Florence airport available on request and at extra costs. Please inform Agriturismo Borgo Mocale of your expected arrival time in advance. You can use the Special Requests box when booking, or contact the property directly using the contact details in your confirmation. The cleanliness of the rooms and especially the bathroom could have been better. As far as we could see, the cleaning lady mainly made the bed over the 14 nights we were there. When we arrived, the toilet area smelled quite strongly. I would suggest to focus more on farm tour.. 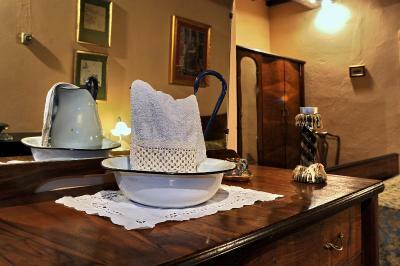 The property might walk the guests through the farm & show agricultural environment more.. The only thing could improve is the breakfast. We were there for 3 nights, first 2 days breakfast items include previous night dinner from a party. It was a fantastic vacation and there were only very little things which could be optimized. Breakfast was ok, we got our egg like we requested etc. but it was the same all the time. Some selection of fruits (like melons etc. ), vegetables and sausages would make a varied breakfast. The including coffee was too heavy to drink for me, so we ordered cappuccino which was not included in the price. It would be cool to go to the pool in the evenings e.g. after trips into the hot cities but unfortunately pool is closed at 8pm. We got a little lost finding the place; perhaps better signage closer to the parking area? The breakfast is to die for. 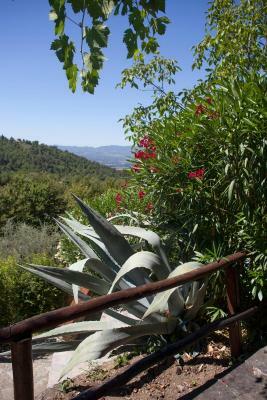 Freshly made cakes everyday, eggs done your way, fresh fruit, homemade olive oil, jams, salumi, cheese, juices and yogurt, with a stunning view set atop olive groves and animal pastures, replete with chirping birds and two very friendly dogs (more on them later). The apartment was comfortable and relaxing, and the main bathroom was very spacious. The expansive grounds make for great exploration and the many seating areas allow for private relaxation. The pool is wonderful on a hot day, and the animals (guard dogs Tosco and Lola, and the goats) made for fun times for the children. 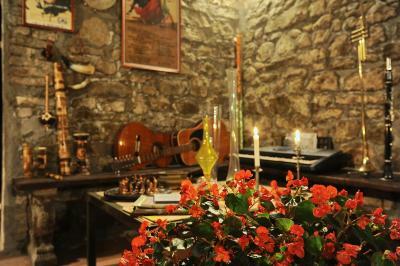 There is also a beautiful music room, and we can only imagine what the weekly concert experience would be like. The location is excellent for day trips to places like Siena and Pisa, and we really enjoyed coming back to relax at the end of the day. The hosts Guiseppe, Antonella and Guilio were very helpful and friendly, and we enjoyed getting to know the history of the place and how the owners lovingly restored a deteriorating property into its current gorgeous state. We highly recommend the dinner featuring local produce and prepared by the wonderful co-owner Antonella. I only wish we lived closer so that we can visit whenever we wish! 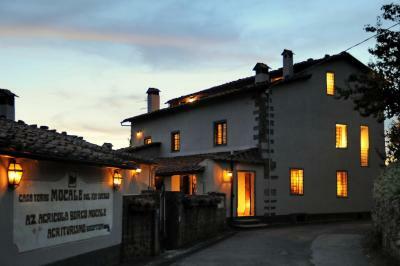 We had a great stay at Borgo Mocale! The owners made everything to make our stay really wonderful and unforgettable: perfect rich breakfast, absolutely fabulous apartment with a great view over Chianti valley, hospitality and care of the hosts, ready to help you out in any of your needs, delicious dinner cooked by Antonella, recommendations about places to see around, we felt very much welcomed at this nice house! 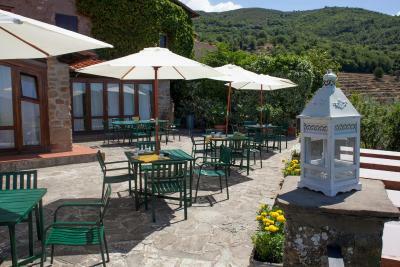 If you are traveling around Toscana and your aim is Florence, Siena, Arezzo, Pisa, cute small towns around Trasimeno lake and the numerous Chianti vineyards this is a really perfect place to stay. Dear Antonella, Guiseppe and Giulio, thanks so much for our wonderful Tosca holidays!